1. We’ve got room for everyone. No matter how many friends or family members are attending the birthday party, we’ll have more than enough space for your group! Rocky Top Sports World is located on 80 acres of land with seven outdoor fields and a 86,000 square foot indoor facility. Parking won’t be a problem either, as we have 1,200 spaces to choose from. Our championship field even has seating for 1,500 spectators, so parents can root on the kids as they play! 2. Kids can play all of their favorite sports. 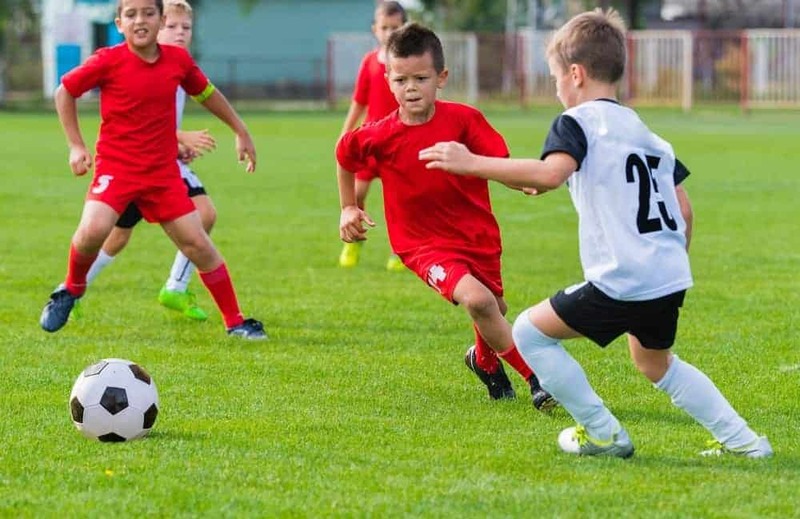 If your child wants another sport than can be played on a field or a court, just let us know! We try our very best to accommodate any and all requests. 3. Groups can eat at our cafe and grill. What is a birthday party without food? Whether you’re looking for a meal or just somewhere to serve the cake, we’ve got you covered! Rocky Top Sport’s World is home to the Champ’s Grill, which will serve up some tasty refreshments after your kids work up an appetite on the court or the field. We have indoor seating at our cafe and outdoor seating at our picnic tables, so you can choose your scenery depending on the season. 4. Kids will feel like professional athletes. Unlike a playground or YMCA, Rocky Top Sports World offers pristine courts and fields with all of the latest technology. With hydraulic goals and bleacher seating, our basketball courts are professional grade. Similarly, our astroturf and natural turf fields are meticulously maintained. Your kids and their friends will really feel like NBA or NFL stars when they have their birthday with us! 5. Rocky Top Sports World is close to all of the best things to do in Gatlinburg. Our great location in Gatlinburg gives you the option to make your party at Rocky Top Sports World part of a day or weekend filled with birthday fun. A visit to Ripley’s Aquarium of the Smokies is a great choice for families who want to give their birthday boy or girl a special treat. Voted the #1 aquarium in America by the users of TripAdvisor, Ripley’s is home to thousands of sea creatures including sharks, penguins, and giant sea turtles. Fans of Rocky Top Sports World even get a special discount when they visit Ripley’s Aquarium of the Smokies! Just use the online promo code ROCKYTOP to get $3 off adult tickets and $2 off children’s tickets. This special discount is also valid at all eight of the Ripley’s attractions in Tennessee. For more information about planning your birthday party in Gatlinburg, visit the Rocky Top Sports World Contact page! This entry was posted in Our Gatlinburg Sports Complex on September 30, 2014 by Jason Fishman.